Rainbows are signs of optimism and happiness. 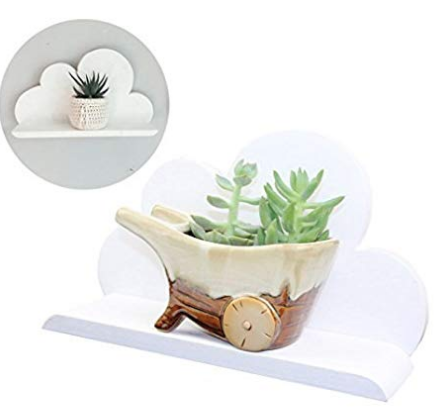 They make for cheerful home decor and for some, they also have another meaning. After experiencing a miscarriage, stillborn, or neonatal death, many parents refer to a baby born after as a rainbow baby. The term reflects the beauty of a rainbow after a storm or dark period. Some embrace the analogy and carry it over into their nursery theme, which I think is a tremendous idea! Some love rainbows just because! 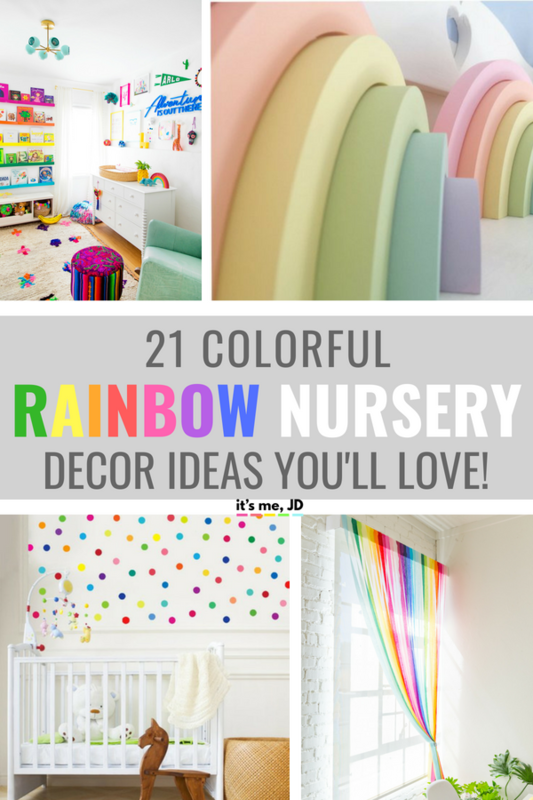 Here’s a list of what you’ll need to pull off the most beautiful rainbow baby nursery. 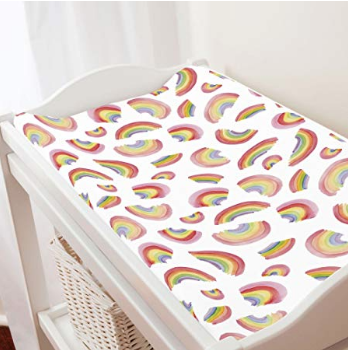 This rainbow crib sheet is the perfect place to start! 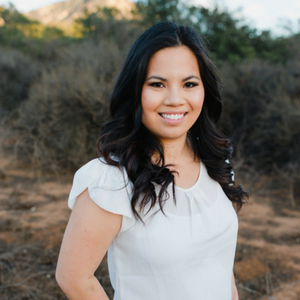 You’ll lie your baby to sleep each night with a reminder of the true blessing she is. 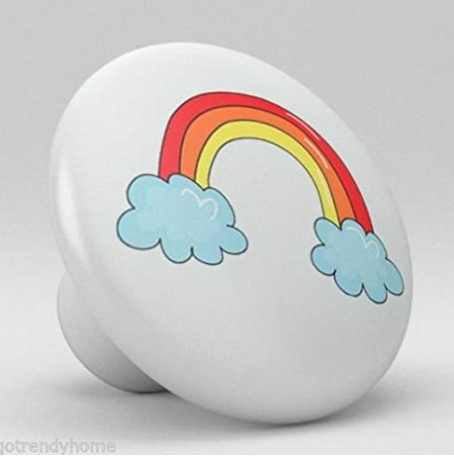 These rainbow stackers would look great on any shelf or in the play area. 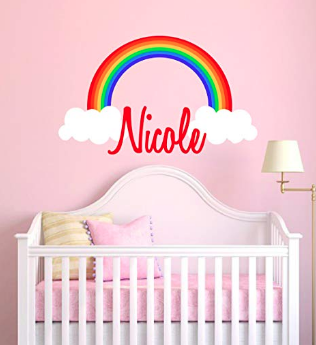 A personalized cloud and rainbow hanging would be a great custom touch to the nursery walls. 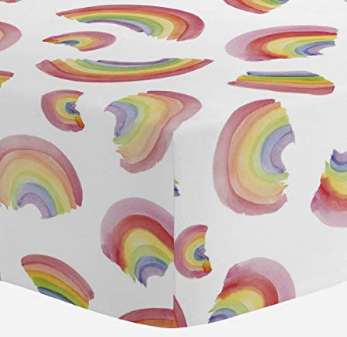 This crib skirt is the perfect way to add the rainbow pop of color you’re seeking without being over-the-top! The matching valance? Well, that’s just icing on the cake! 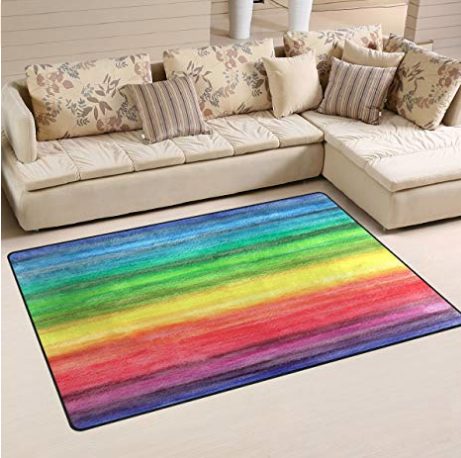 This watercolor rainbow area rug provides the colors of the rainbow without being cheesy! 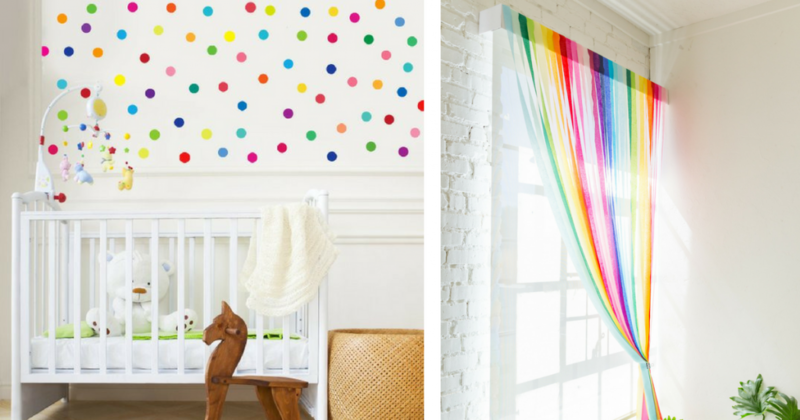 Celebrate the baby with these fabric wall decals (which are removable). These streamers may not be permanent but they’ll look great for a short while. Plus it’s so easy to DIY. This hamper is dual-purpose! 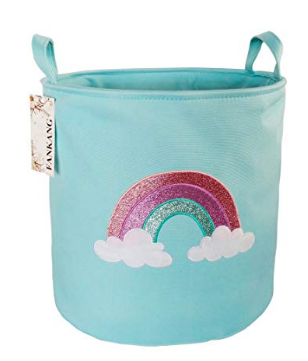 It’s adorable décor for your rainbow baby nursery, but it’s also the perfect place to stash dirty sheets and clothes in a hurry! 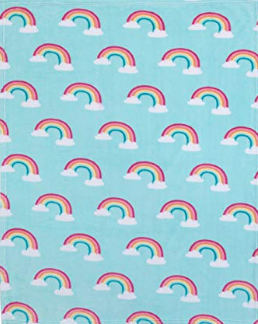 Carry the rainbow theme over to your changing table with this changing pad cover that matches your crib sheet! 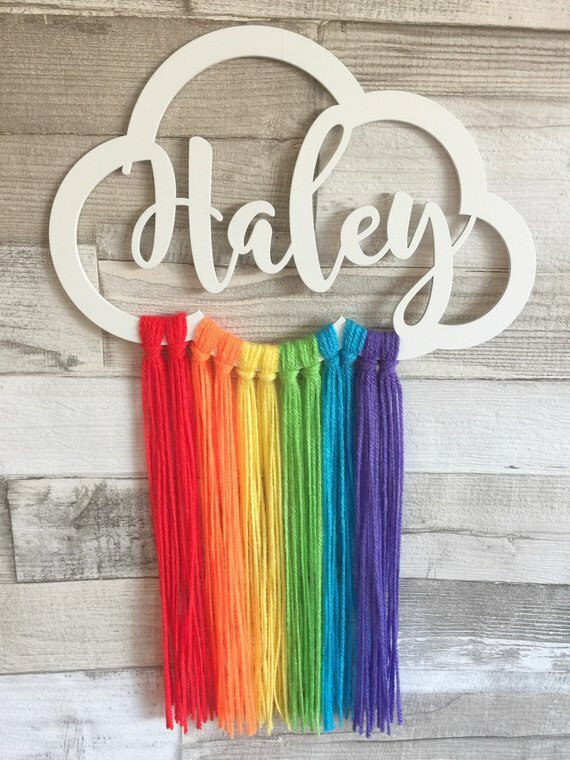 A fun pom pom banner in a rainbow ombre theme adds a touch of whimsy. 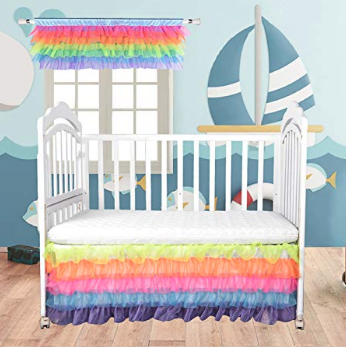 Drape this adorable blanket over the side of your crib or fold it over the back of your rocking chair to add more color and tie the theme throughout the room. 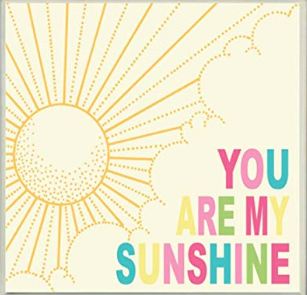 Add a little reminder to your little one’s room that she is your sunshine! 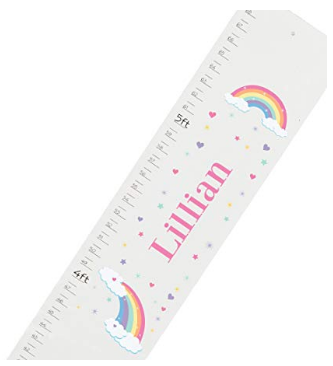 You can track how your blessing baby grows with this themed growth chart! 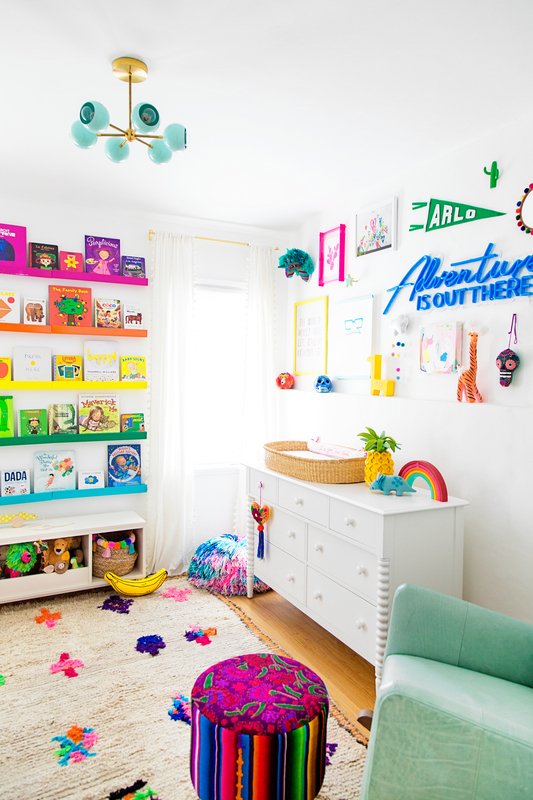 The rainbow bookshelves and other touches in this nursery just makes me smile. 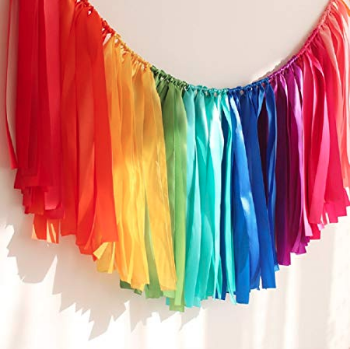 This garland adds the perfect pop of color in rainbow order to your room! 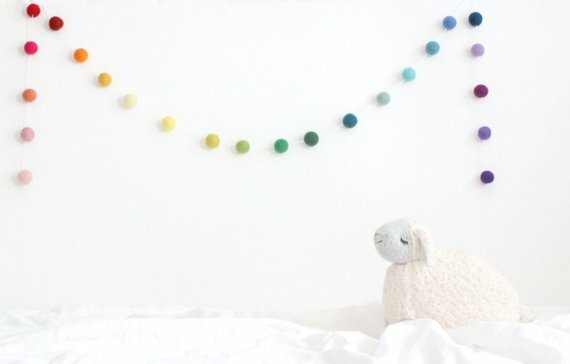 You can hang it over the crib or changing table, or hang it on an empty wall! 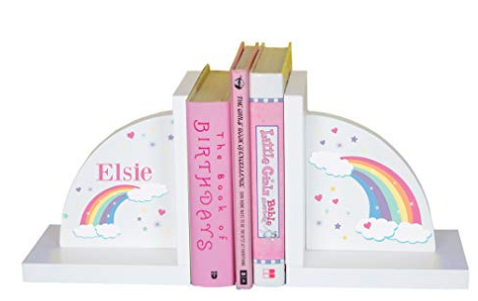 Keep all of your baby’s books organized with these rainbow bookends! 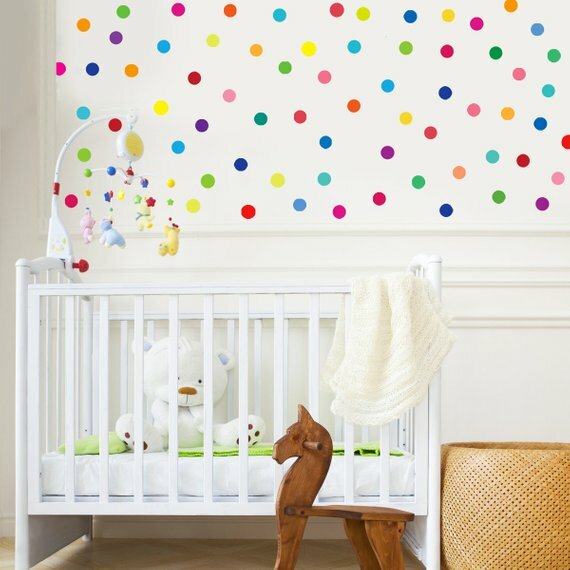 I love the idea of putting your precious baby’s name on this wall decal and hanging it above the crib in her room. It sends home the message that she is your beauty after the storm. 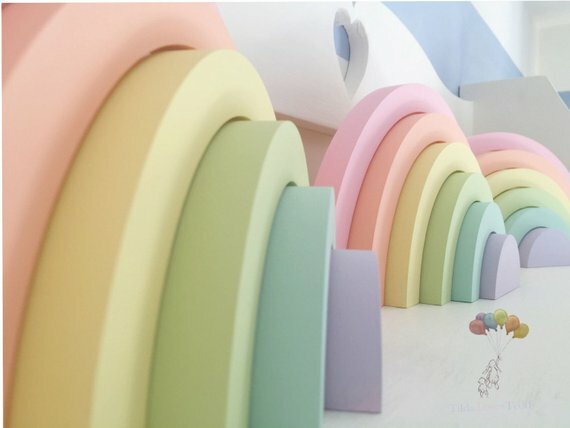 Aren’t these cloud shelves absolutely PERFECT for your rainbow baby nursery?? 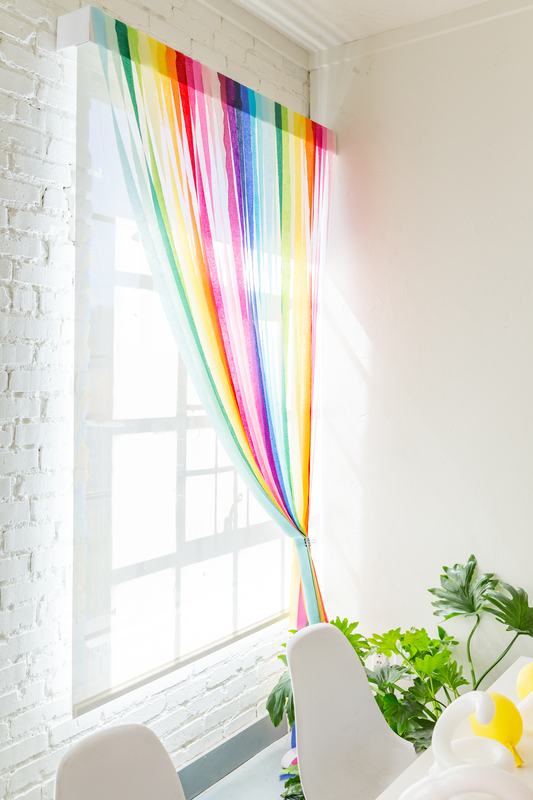 They flow with the theme without adding even more color to the already-colorful room! 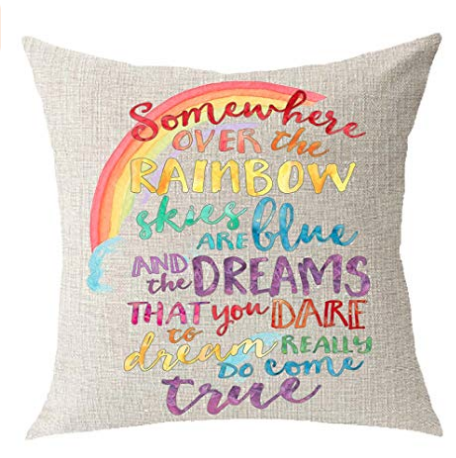 This throw pillow sits perfectly on your rocking chair. It brings the color into that corner of the room and adds a little more inspiration. Step your nursery décor game up by swapping out the knobs on the dresser for these themed knobs instead! 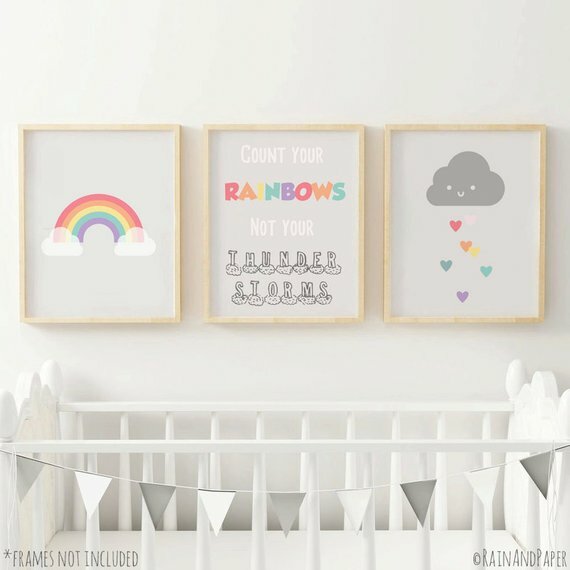 This rainbow set of prints is the absolutely perfect way to add the finishing touch to your rainbow baby nursery. Congratulations on your little blessing! This rainbow themed room is the perfect reminder that there is beauty after the storm.